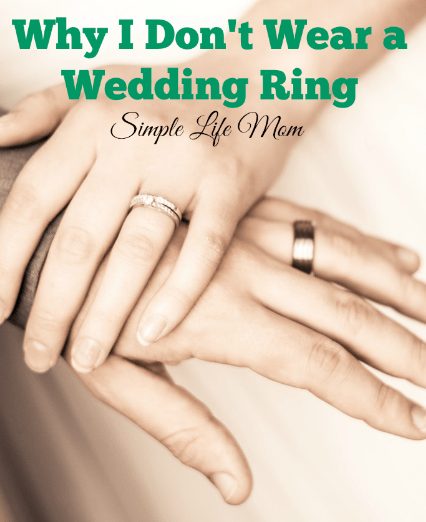 To explain why I don’t wear a wedding ring, I need to tell you that I grew up in Africa. I spent all my youngest years and teen years in Zimbabwe, then went to Rift Valley Academy boarding school in Kenya for my senior year of high school. Growing up, I had no idea that a large portion of the poorest in America live in great wealth compared to most of the population of the world. I had no idea, because as a kid you just live and adapt to what’s around you. Zimbabwe was very prosperous back then, by Africa standards. Even so, there were ways of life that you adapt to the best you can. For example, you would need to pay up front if you needed to go to the Emergency Room or you wouldn’t be seen. Many times if you could pay there may not be a bed or any medications that you need, or quite possibly the equipment that you need for some procedure is broken down and they are waiting for the part to be brought back from South Africa. God put a wonderful love for the people of Zimbabwe in my parents. They worked hard to train, clothe, build grain mills, and help provide clean water. This was life as I knew it growing up. Later, there was a day when my husband and I were going to a college in Los Angeles area California. My mother had to get a new laptop for the work she was doing and graciously gave us her old one. My husband was so excited that he could take it to classes and take notes. My husband was working on the electrical crew at the University at the time with a man who also worked with an organization that helped those who were addicted to drugs by helping them detox, recover, move them from their harmful surrounding, and help them eventually get back into a working society. This man, Mike, had gone through the entire program himself years before. Of course Mike refused. But I’ve never forgotten that lesson. In 2008, my husband, myself, and 3 children, decided to follow a dream. Matt was as good as promised an entry into a PhD program back in the Los Angeles area. We moved back there, planning on temporarily staying with my parents only to find three major things happen: my brother lost his job and also moved in with my parents with his kids (Yes, it was a 2 bedroom condo), my husband could not find a job, and my husband was refused entry onto the PhD program. We were jobless with 3 tiny children, living off my gracious parents, and sleeping in the living room. This turned out to be a life changing time for me in many hard ways (which is an entirely different story), but a very dark and difficult time for my husband. I happened to find a story online about a group of people who met in house churches around the area weekly, gathering together in one home for a large meeting every so often. This is something my husband and I had left in PA and so desperately needed at this time, so I called Ken and Ali Eastburn up and planned to meet (mainly so we could find out if they were crazy or not). I remember we met at Green Burrito because they had a play area for the kids to run around in while we talked. We sat there talking and telling our stories and instantly became friends. There are just some people that you click with right away, and Ken and Ali are two people that are easy to love. Ali began to tell us about With This Ring. It had only been an organization for a year or so. She told us her personal story of being challenged to not hold onto worldy wealth, but to have an open hand when God presents a need to you; how she sold her wedding ring to help pay for a well to be dug for people in Sierre Leon, and how she was working among the wealthy women in Orange County to try and get them to understand the freedom and joy that comes from giving. Her love was two fold: she definitely wanted to help dig wells and take the Gospel to anyone in need in America and all over the world, but her love for the women ensconced in their wealth was overflowing as well – the need to pull them out of themselves and help them seek Jesus. I reached out and handed Ali my rings. There was a second of stunned silence. Ali then hugged me and reassured me exactly where my rings would go. I’ll admit, there have been times in the past 10 years since that day when I’ve wondered if I was too spontaneous. After all, how much could my little ring have helped? But then I’m reminded that not only did they definitely help others, but it’s a matter of the heart. But there was no struggle. No thought of my troubles. It was just obedience and love. And not from my own strength or power. I had simply surrendered and given all my needs to Jesus. 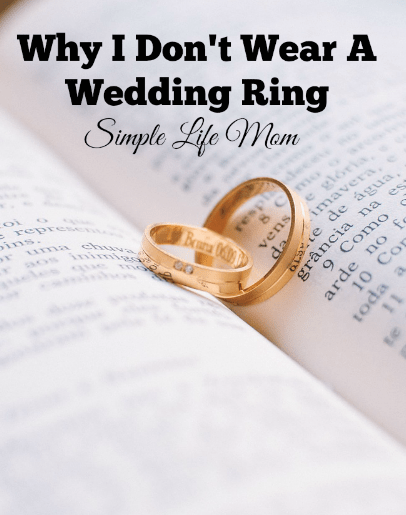 So, I don’t wear a wedding ring. Even now. It’s a great reminder of what God pulled us through and to keep the perspective that this life is fleeting and things don’t matter; people do. If you’d like to join your story into mine, you can give to With This Ring at WithThisRing.org (you can give in other ways besides rings).